From Ribbon Impressions to Influencing Identity and beyond, we believe that learning about personal identification should be all-inclusive and available to everyone. So, we started The Learning Center. Read articles about our identification products and also learn how to host the best event ever. We guarantee that the information you find here will help you and your business. 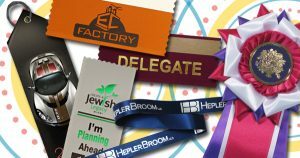 With a wide range of products like ribbon rolls and rosettes to name tags, lanyards and award plaques, we want to make sure that you know how and where to use them. 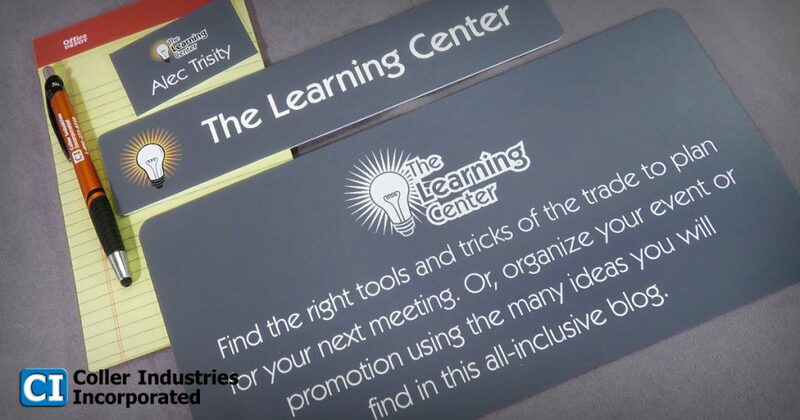 So, whether you’re planning the best conference anyone will ever attend or hosting a simple dinner party, The Learning Center is here to make sure you are using these tools in the best possible ways. 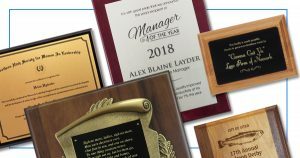 Award Plaques: With custom engraving, make any of our products into performance, leadership or corporate awards. Let people know how much you value their hard work with personalized plaques made just for them. The quality of our award plaques makes them suitable for any accomplishment. Match the color, logo, font and text to suit the occasion. Name Tags: Personal identification products, such as name tags, have a significant benefit on your company. Everyone in your workplace can communicate more efficiently when they know each other’s names. Guests and visitors are more at ease when they know with whom they are dealing. Name tags also help to promote your brand where ever they are worn. Wear them in at the office, to conferences and conventions. Personalized Ribbons: From awards and promotions to holidays and events, Personalized Ribbons is ready to help with all your ribbon needs. Badge Ribbons are perfect promotional tools for your next event, meeting or conference. Customize ribbon rolls with almost any text, logos and graphics. Rosette Ribbons are available as stock designs or custom made to order. No matter your ribbon need, we are sure to have it. Over the past 20 or so years, we have thrived as Coller Industries Incorporated, and our focus and mission have always remained the same “To Serve Our Customers.” We accomplish this mission by providing fast and friendly service with only the highest-quality personal identification products. 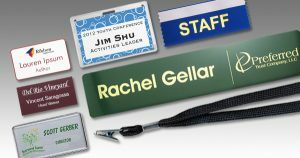 And, as the industry leader in personal identification, we offer a large selection of name tags, plaques, ribbons, lanyards and so much more to meet all of your needs. While we run like a small business, we have a big business attitude. So, what’s the benefit from that? You, as our customer, get to take advantage of our incredible quality guarantee. You also get the knowledge that you are treated as our top priority every time you order with us. And with our product and service guarantee and our low error rate (0.12 percent), Coller Industries Incorporated stands by our products and you, our customer. Spice up your creativity and find innovative ways to use personal identification. From ribbons at a meeting to name plates for directions at a conference, don’t limit yourself when using these fantastic tools. Improve everyone’s impression with name tags and award plaques. Come find out how to use these personalized tools to help your event be everything it should be. So, if you use personal identification products just as much as we do, take a look around, we guarantee you will find something useful.